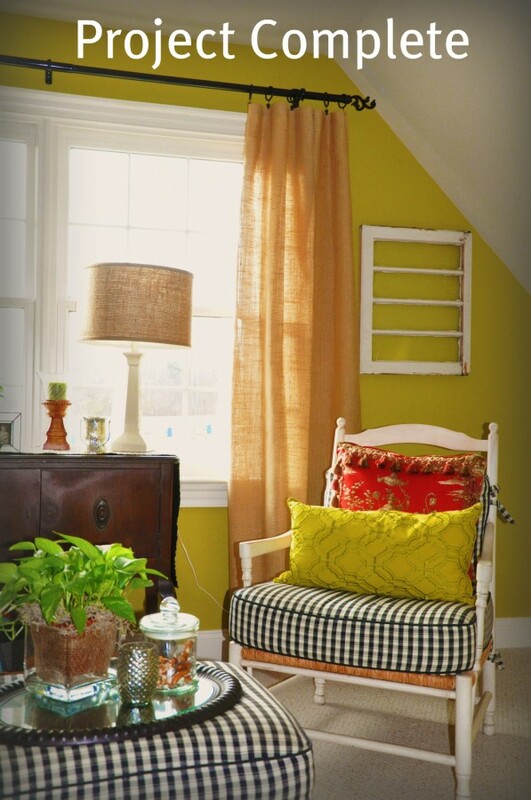 Love the bedroom, love the paint job, love the wall of drapes. bobbypinsboardwalk: A few more kinks to work out.. Puzzled…. I’m thinking that I could make these drapes using cheap sheets from WalMart. How funny is this, I went to the original site to get the link since I found this on a blog party enty. And guess what she made these out of? Sheet Curtains Click on the link to check out her site. Since I sew I hardly ever buy curtains from a store and my living room was no exception. I found this sheet set on clearance at Target, being 100% cotton it was just what I was looking for. I can tell you that if I had more money if my life I would probably opt for more expensive things in my house, but since I don’t it forces me to think outside the box and always be on the lookout for bargains. I knew I wanted a gathered look at the top but not to full, I think I used a twin flat sheet for each panel, a twin flat sheet is usually around 66 inches wide. I used Wright’s pencil pleat tape (like this) that I found at the fabric Store. They were super easy to make and very inexpensive. I love that they add just a little pop of color around the windows. Finally the lining. I am a big fan of Roc-Ion’s Rain No Stain Lining. It is 100% cotton, crease resistant, insulates, is a UV inhibitor and has a smooth finish. The smooth finish part is important, so that the lining and panels don’t cling together. And the bonus, it is very affordable and sold at JoAnn Fabrics. 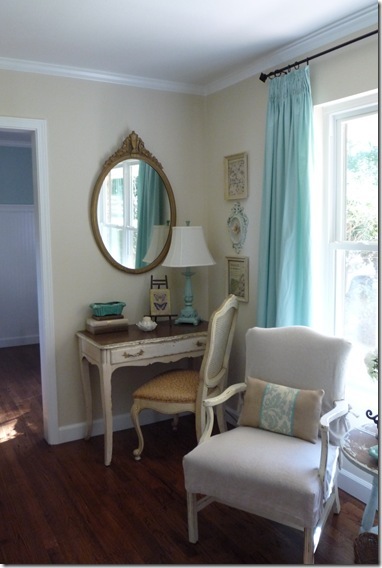 via Isabella & Max Rooms: Drapery Panels – Answering A Few Questions.